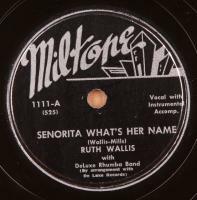 Popular novelty, cabaret singer, Ruth Wallis accompanied by her Deluxe Rhumba Band. Condition: V++/V,V+; Plays fine, loud and strong. 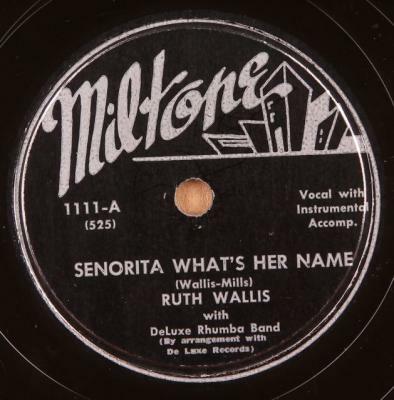 Fairly quiet surface on "Senorita…" aside from a few light ticks result of a small light scratch or two. Light surface noise on "Jose…" result of light graying of some grooves. A few light scuffs.